When Richie Rossiter, once a famous pianist, dies unexpectedly, Chrissie knows that she must now tell the truth to their three daughters: their parents were never married. Yet there is one more shock to come when Richie’s will is read. It seems he never forgot the wife and son he left behind years ago—Margaret, who lives a quiet life of routine and work, and Scott, who never knew his famous father. Now two families are left to confront their losses and each other, and none of them will ever be the same. Witty, intelligent, and insightful, The Other Family is a story of modern family life from one of our most beloved authors of domestic fiction. Joanna Trollope has been writing fiction for more than 30 years. Some of her best known works include Daughters-in-Law, The Other Family, The Rector's Wife, A Village Affair, Other People's Children, and Marrying the Mistress. She was awarded the OBE in the 1996 Queen's Birthday Honors List for services to literature. She lives in England. 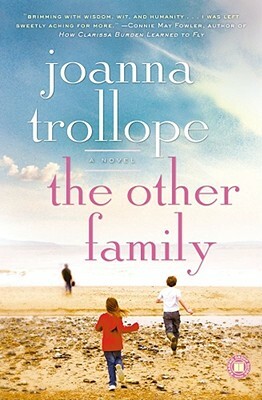 "Brimming with wisdom, wit, and humanity, The Other Family is a sumptuous feast of a novel. Joanna Trollope creates an impeccably observed world, exploring the vagaries of love and family ties with such honest grace that I was left sweetly aching for more."